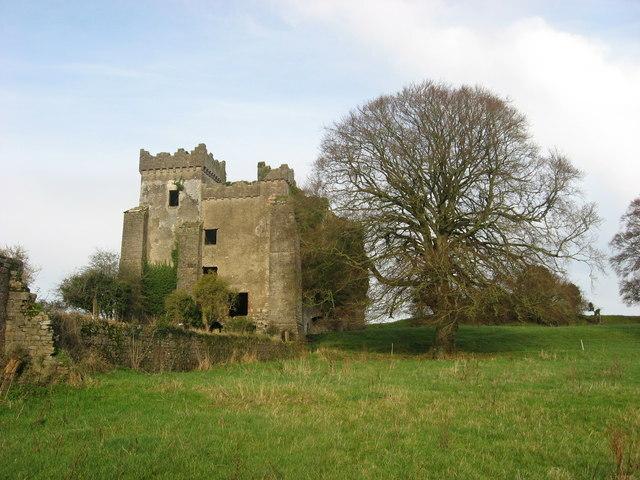 A 15th-century castle of the Barnewell family, overlooking the Tremblestown River, a tributary of the Boyne. Often spelled 'Trimblestown', but not by the O.S. A notable feature is the huge two-storey barrel-vaulted hall on the ground floor. Modernised c. 1800, in ruins by 1900. This page has been viewed about 357 times.